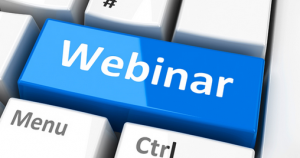 In September 2018, RD-Connect together with the ERN EURO-NMD, organised a series of webinars aiming to train the members of the European Reference Networks at all levels. The webinars aimed to demonstrate how the RD-Connect tools can help the ERN members in their everyday work. Steven Laurie from Centro Nacional de Análisis Genómico in Barcelona, Spain, demonstrated how to use the powerful and user-friendly analysis tools in the RD-Connect Platform to interpret, filter and prioritise variants to identify disease-causing mutations, help find confirmatory cases and diagnose rare disease patients. Mary Wang from Fondazione Telethon in Milan, Italy explained how to use RD-Connect to quickly identify patient registries hold data on your disease of interest in Europe and beyond and how to browse sample collections of rare disease biobanks, with detailed information about each individual sample. Marco Roos, from the Leiden University Medical Center in the Netherlands, explained what makes data Findable, Accessible, Interoperable and Reusable (FAIR) and why it is critical that different types of information, such as medical records, clinical and phenotypic data, test results, sequencing data and biosample details are made FAIR at the source.